We’re not long home from a week of genealogy indulgence…what’s not to like about genie-adventures? Especially when they take you on a road trip! First up was two days at the Unlock the Past Roadshow in Brisbane with Scottish/Irish guru Chris Paton, German expert, Dirk Weissleder and local speakers. Learning new strategies and sources for research is always fun and even better when you get to catch up with genimates. The Roadshow is heading to other cities too, so you might want to consider booking. From Brisbane we ventured west towards Toowoomba and the Darling Downs. We were no sooner on the Darren Lockyer Way[i] when my spirits soared with the wide open vistas of the Lockyer Valley and the sense of moving away from the urban coastal belt. Don’t get me wrong – we love where we live near the coast, but this trip made me realise how much I’ve missed being away from the open spaces we used to enjoy in the Northern Territory. We made our way up the Range via the obligatory ancestral route through Murphy’s Creek and a wander through the cemetery saying g’day to my Kunkel 2xgreat-grandparents and great-grandfather. The renovated Kunkel grave at Murphy’s Creek. However, on this trip we also made time to lunch at Spring Bluff Railway Station. Of course we’ve known forever that it’s there, but there always seemed to be other priorities. I imagine it’s busy on the weekends but it was tranquil on a lovely mid-week Spring-like day. With the burst of warm weather, the flowers are coming into bloom early. On Friday, I toddled off to the Catholic Diocesan Archives in Toowoomba where I’d made an appointment. I’ve rattled on many times about the benefits of checking parish registers for additional information…it’s amazing how much you can discover. This Google map could be called “Ancestral Pathways” as it lists so many towns and settlements where my family lived, worked and died. Golf (or surf) widows are a common phenomenon, but for a few days Mr Cassmob got another large dose of being a genealogy widower. His Aussie ancestry is all from Victoria so there was nothing specific for him to follow up. However, he’s had lots of practice with my meanderings and this just one more. We tried to balance some of the genea-obsessiveness with touring options we haven’t taken up before. Our wander through the Japanese Garden at the University of Southern Queensland was a delight! Some of the trees were already in blossom, azaleas were starting to peek out and the landscaping is beautiful – definitely on the agenda to see it again a different season. 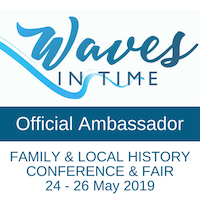 Saturday was spent at the Toowoomba and Darling Downs Family History Society. I love that it’s aptly located adjacent to the enormous Drayton and Toowoomba cemetery (search burials here). The Society launched its third volume of Our Backyard, containing stories of those buried in the cemetery. Most are submitted by family members but some have been researched by society members. My submissions for Kunkel and Gavin family members, plus a few Germans, are in Volume 1. The Society has some great publications if you have Darling Downs ancestry. They are also very good at catering for their remote members. After the book launch, and morning tea, we were treated to a very thought-provoking presentation by Queensland local and family historian, Janice Cooper. Janice encouraged us to think about scrutinising our sources and their merits, as well as seeking the content and analysing them for our conclusions. Very much worth listening to and something I’ll be revisiting. A speedy AGM was followed by lunch. I was the post-lunch speaker and presented on The Marriage of Family and Local History as applied to Murphy’s Creek and using a variety of sources, of which it’s impossible to cover the whole spectrum. Like most marriages there might be offspring – and a One Place Study is one of them. I found it interesting to talk to a group familiar with the township and my mention of the former publican, Mr Bloom, certainly grabbed one member’s attention. My thanks to the society for giving me this opportunity. After our few days in Toowoomba we’d decided to stay out of town for the next couple of nights and booked a delightful cottage adjacent to the Ravensbourne National Park. It was chilly at night but we were cosy inside with a gas fire and it was a pleasure to wake up to the sound of kookaburras and honeyeaters in the grevilleas beside the deck. Touring the area, we visited the Woolshed at Jondaryan as it was decades since we’d last been there. I’d known for some time that some of my relatives had worked there but we met up with the historian to see if he had any new information – strangely that included the letter I’d sent him with Kunkel and Gavin details many years ago <smile>. I’ve brought away some print-outs so that I can send him further information on some of my other interests eg Stephen and Mark Gavin. The station ledgers have been preserved for long periods of time, especially in the earlier times, largely because the property was in the same hands for a long time. 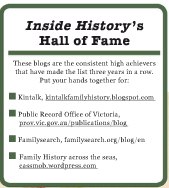 You can check out the list of names in Mr Eggleston’s book or write to him at the Woolshed if you think your ancestor worked there. Don’t forget to provide him with some details of your family to add to his database. Jondaryan was an enormous property back in its day and you can read some of its history on the website. Merino sheep were its forte and my great-grandfather George Michael Kunkel worked as a lamber for a few months in 1875, paid £1 a week. Lambs were valuable assets and hence the role of the lamber was important -he had to watch over them to protect them from animal marauders, help the ewes if there were difficulties with birthing and generally ensure the lambs well-being. The Woolshed has some wonderful old buildings, not least being the woolshed itself which is the largest oldest still operating anywhere in the world. However, I was most interested in the shepherd’s hut since this is the type of accommodation inhabited by some of the early Dorfprozelten immigrants during their first employment contracts. Along with sightseeing we enjoyed a yummy lunch at the Woolshed’s cafe: meals with bush tucker ingredients. We’ve also flagged Jondaryan as somewhere it would be good to camp – but perhaps not at a busy time. Nearby, the little Anglican church, St Anne’s, is simple yet beautiful so of course I had to buy the book on its history. An error in navigation took us back to Murphy’s Creek which was fine as we wanted to check out the Fifteen Mile again. It was interesting to see that the old Kunkel property seems to be being expanded and now I’m dying of curiosity to know what’s happening and if it’s changed hands again. The old Horrocks’ barn – in a state of collapse, and the brick chimney of the house behind. I also took a current photo of the old Horrocks’ barn, which appeared in my slideshow for the presentation. It is now “on its last legs” so I was pleased to take some photos while I could. As always the nearby cows looked on suspiciously, as they’ve done on every occasion when I’ve driven there. All in all, a wonderful short holiday: learning + genealogy + genimates, balanced with touring on the Downs and chill-out time with Mr Cassmob. 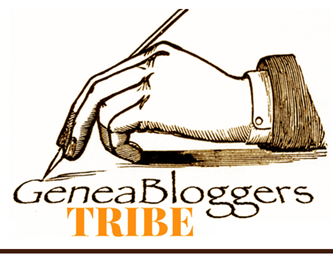 This week’s topic in Family Tree Frog’s NFHM Blog Challenge is All the Rivers Run. 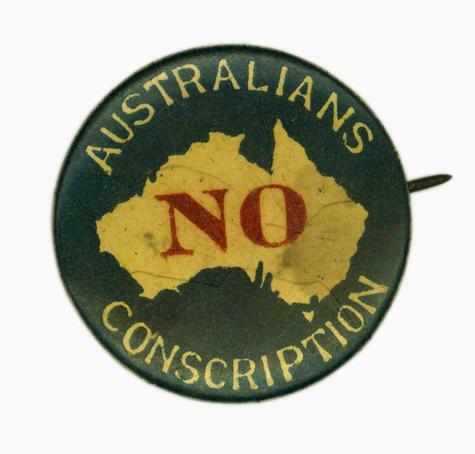 Australia alternates between extremes of weather as illustrated by the famous poem by Dorothea Mackellar: My Country[i]. And drought and flooding rains. This is just one story of my ancestors’ experience with the dramas and dangers of flooded rivers. Some resulted in fatalities, others in property losses, but this is the most well-covered in the newspapers, and also a story lost (or hidden?) by the family. 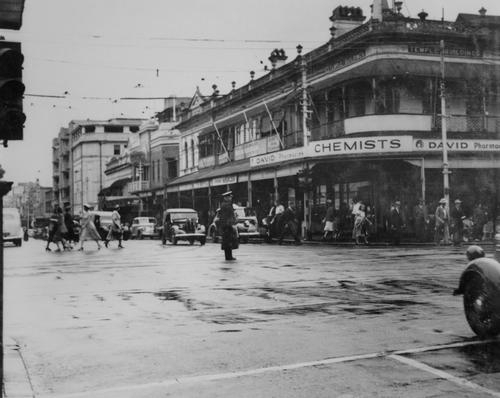 On 22 January 1887, the Queensland town of Ipswich was deluged by a severe flood. Some said it was the worst in European memory, others that it was only exceeded by the 1864 flood. The newspapers document that it had also passed the level of the 1841 flood[ii]. It would not be the last time the town was hit, as even in recent years Ipswich has been inundated by enormous flooding. At the time of the 1887 flood, my ancestor, Stephen Gillespie Melvin, had a confectionery store in Ipswich as well as various other business interests. He had worked hard to establish himself after the tragedy which accompanied his arrival in the colony when his first wife, Janet Peterkin Melvin had died in quarantine on arrival. He had won prizes at the local Agricultural Show[iii] and established a surprising portfolio of property…almost certainly to the overall detriment of his balance sheet. The 1887 flood came powering in just days after the 10th anniversary of Stephen’s arrival on 18 January 1877, not exactly an auspicious anniversary. Perhaps he was already feeling down, remembering his young wife’s death, or perhaps he was increasingly aware of his precarious financial position. Stephen’s courageous rescuer was Thomas Shadrach Livermore, a 26 year old blacksmiths’ labourer[iv]. (Following his entries in Queensland Births, Deaths and Marriages it appears his correct name was Thomas Shedrick Livermore). The stories place Stephen’s age as 45 years but this overstates his age, as he was born in 1854 in Leith, Scotland. Perhaps I’m misjudging my ancestor, though while there are anomalies in the report, it fits with other factors affecting him at the time. Perhaps it really was an accident and he got caught in the vortex, which makes sense if he was trying to evacuate his store. In his earlier life he had been a merchant seaman, and it was common for them not to be able to swim. Only a few months later in 1887, Stephen’s estate had gone into liquidation, as detailed in a news story[vi]. He specifically cites the impact of the flood on his business[vii]. 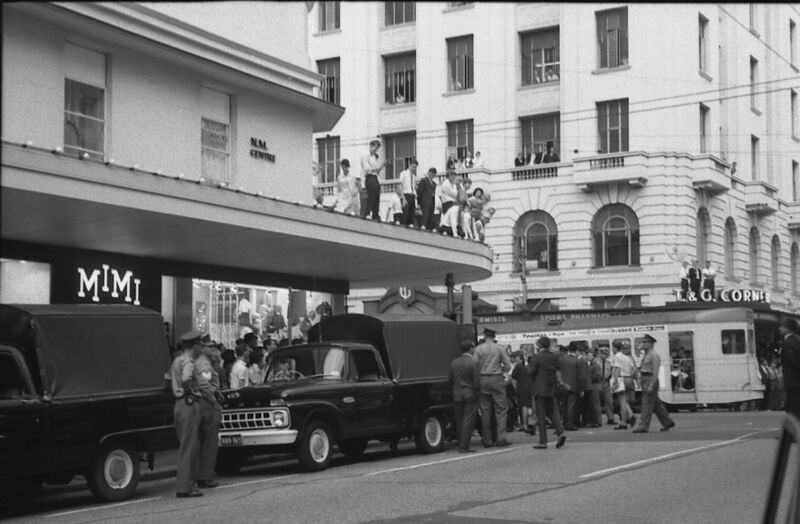 I’ve also referred to the Insolvency files at Queensland State Archives, and Stephen’s holdings of property were quite amazing for a relatively recent immigrant. It’s also interesting to see that his father-in-law, William Partridge, was one of his creditors. These events were not to be the end of Stephen’s annus horribilis but those stories will keep for another day. There was much made about the proposed presentation of the medal to Thomas Livermore including a description of the medal. Personally, I owe an enormous debt of gratitude to Thomas Shedrick Livermore. Had he not saved my great-grandfather from the flooded river, my grandmother, mother and I would not have been here, nor would seven other branches of Emily Partridge and Stephen Gillespie Melvin’s family. I certainly hope that the medal has been preserved in the Livermore family, along with the story of their ancestor’s bravery. The presentation was held on Tuesday 6 September 1887[ix] and the Police Magistrate Mr Yaldwyn rightly summed up Mr Livermore’s courage when awarding the medal[x]. This Sepia Saturday has three young men relaxing at their leisure on the creek bank after a spot of fishing with their flimsy fishing rods. It brought to mind many similar scenes that would have occurred in colonial Queensland beside creeks and waterways throughout the countryside. 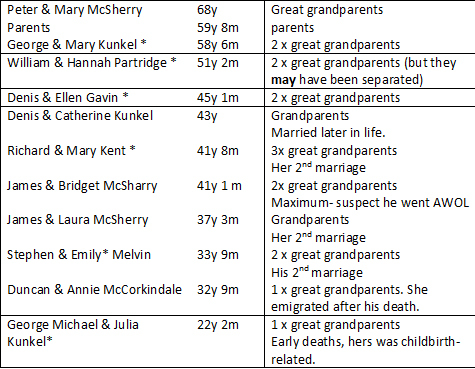 I could well imagine my Kunkel great-grandparents, and perhaps their children, dropping a line into the Fifteen Mile Creek which bordered the property owned by George and Mary Kunkel at Murphy’s Creek. But those images exist only in my imagination, whereas this real-life image is a more confronting, and to my mind, less pleasant aspect of colonial life. Once again we have a fishing trio with a 517 pound (about 234kgs) giant grouper which had been caught circa 1900-1910 by our fishermen, Frank Anderson and Jack Kinnon snr. The battle was uneven as they were using a tailor-made hook and a chain “line” wrapped around a 44 gallon drum. 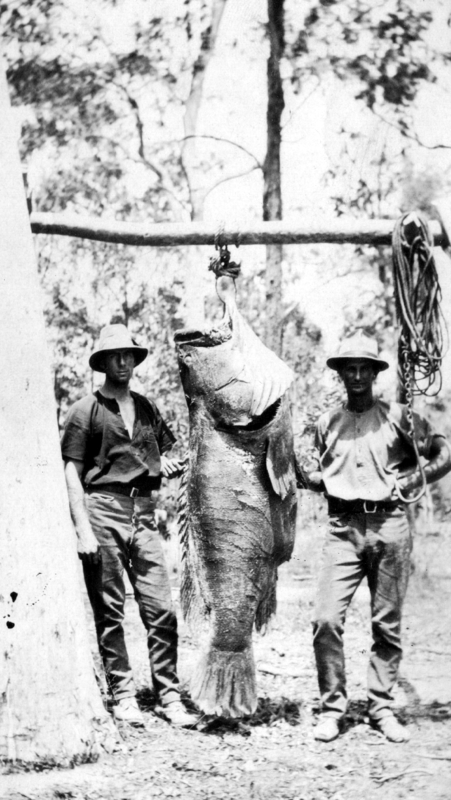 The fish is about 5.5ft (167cms) so it would have been very old, and was almost certainly swimming in the waters off Queensland well before the arrival of the white man. It makes me want to weep every time I look at this photo, and yet it’s also the story of our colony. How ironic that the giant grouper is the aquatic emblem of Queensland and how unsurprising that it is a threatened species. As an antidote to the imbalance of the fish vs men image, let me tell you the tale of a young lad, Jack Kinnon jnr, fishing with his grandmother, Bridget Connors (daughter of George and Mary Kunkel). I included this passage in my book Grassroots Queenslanders: the Kunkel Story. This is Bridget Connors sitting on the running board of their car. I can imagine her with the same contented expression sitting by the pond fishing. At the time there was a butter factory on the Mary River where it ran through Tiaro. The buttermilk run-off from the factory flowed into a small pond of the river with which Bridget was very familiar. She knew the mullet loved to come and feed on the buttermilk and get fat. So off they’d go, the old lady and the young boy, with their bamboo rods, cork floats and tiny hooks with bread threaded on for bait. They’d sit by the pond quietly waiting for the fish to bite and when the float disappeared below the water they’d reel in their catch of the day, a plump mullet. Bridget got a great thrill from catching the fish but Jack’s pleasure was diminished slightly by the need to scale and clean the fish. Are you feeling relaxed now? Why not drop your fishing line and wander off to see where other Sepians went fishing this weekend. Over the past days I’ve been working on my Congress 2015 about family and local history. I came across this wonderful photo which I wanted to share right now – regular readers may see it again in a few months <smile>. It is wonderful because of the four generations included in it rather than the photo itself which could have done with a lot less contrast, not helped by being published in the paper. FOUR GENERATIONS OF AN OLD DOWNS FAMILY. 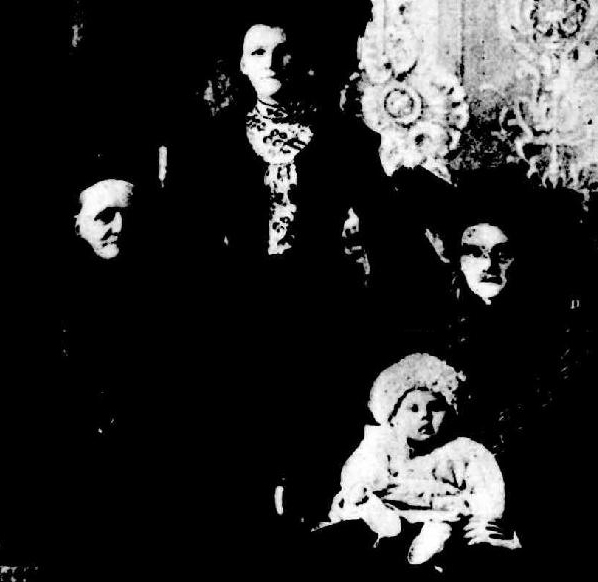 This group includes Mrs. William Marshall, Mrs. Robert Cooke, Mrs. Sydney Chapman, and Baby Harold Chapman. Mr. and. Mrs. Marshall, of Well station, near Warwick, arrived at Sydney from Scot land in the Mary Pleasant in December, 1858, and came on to Queens land, making their home in the Warwick district, where they are engaged in dairying and grazing. 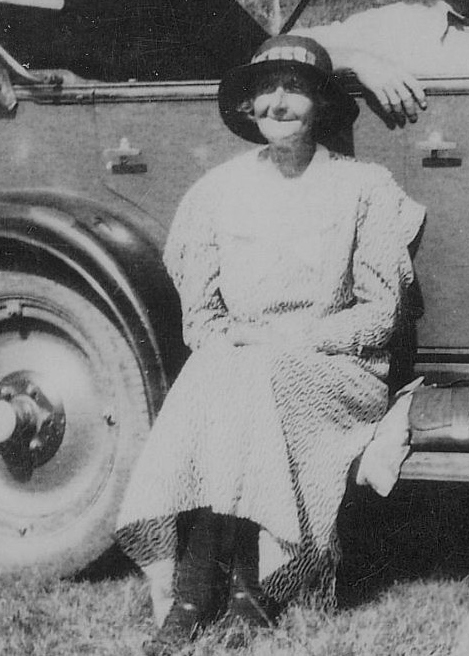 Mrs. Cooke, second daughter of Mr. and Mrs. Marshall, married Mr. Robert Cooke, railway engine driver of Toowoomba, and Mrs. Chapman is their eldest daughter, residing at Murphy’s Creek, where Mr. Chapman is engaged in general storekeeping. (Photo, by Schaefer and Deazeley). My key interest is in the Chapman connection as the family were among the first European settlers at Murphy’s Creek. However, this is actually four generations of the Marshall family. 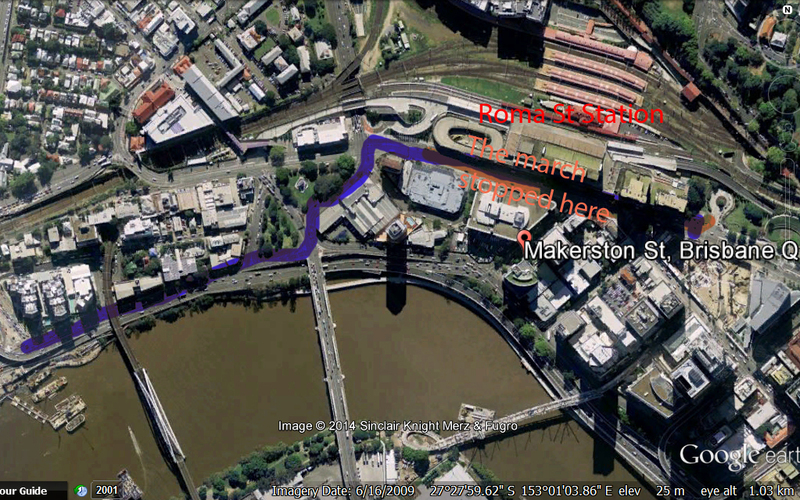 After a quick hunt through the Qld BDMs and NSW shipping I’ve come up with their brief story (helped by all those clues!). William Marshall snr, 56, arrived with his daughter Catherine 22, son John 14 and daughter Janet 12 at Sydney in 1858 on the Mary Pleasants. Also on board were William snr’s son’s family: William 20, his wife Margaret 21 and infant son William 1. All the family were from Fifeshire in Scotland and all could read and write and all belonged to the Church of Scotland. William snr and William jnr were both carpenters. Their voyage had been under the remittance regulations, so I wonder who paid their way. Three generations of the Marshall family had arrived together. William Marshall (snr) of the Well Station, South Tooburra, went on to become the third mayor of Warwick in 1864. He died on 14 February 1885. Mrs William Marshall (nee Margaret Hogg) in the picture is the wife of William Marshall jnr who immigrated with William and his father in 1858. Margaret and William lived at Greymare, near Warwick, Queensland. Their daughter, Catherine Mary Marshall was born in Queensland in 1869 (Qld C3235). Margaret Marshall nee Hogg died on 6 July 1924, an early Warwick pioneer. William Marshall junior died in 1920. Photograph from the Toowoomba cemetery grave search. Catherine Rennie Marshall (note name difference) married Robert Cooke in 1882 (Qld C6797). 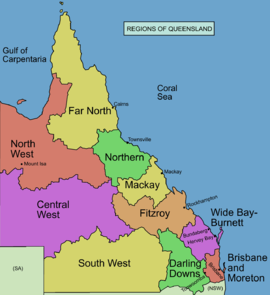 Their daughter, Margaret Elizabeth Cooke, was born in 1882 (Qld C6797). 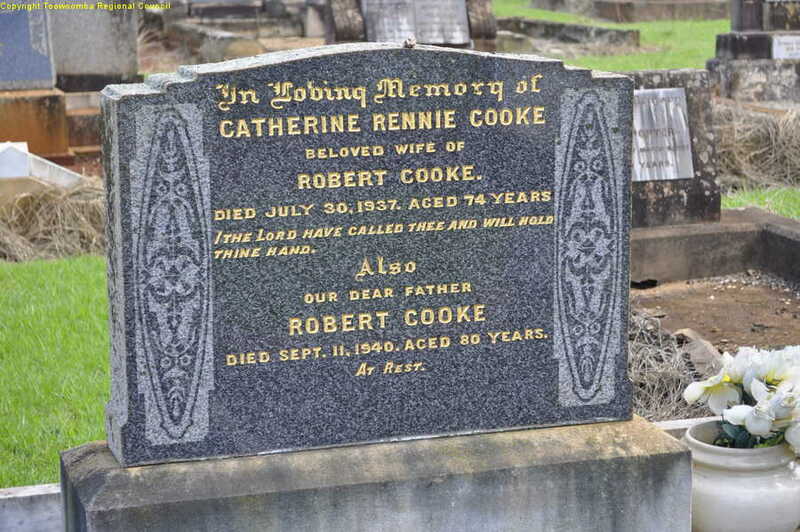 Catherine Rennie Cooke died on 30 July 1937 (Qld C3666) and is buried in the Toowoomba and Drayton cemetery. Margaret Elizabeth Cooke married Sydney Chapman of Murphy’s Creek in 1903 (Qld C582) and their son Harold Chapman (pictured) was born in 1904 (Qld C3278). 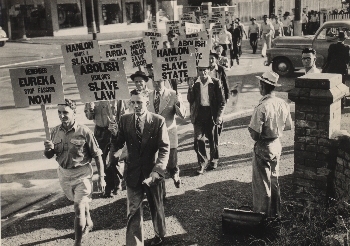 Both the Chapman and Marshall families were indeed true Queensland pioneers. This week’s Sepia Saturday is about the horse, the cart and the drivers. While my Denis Gavin from Kildare and Dublin worked as a bullocky out west when he first arrived in Queensland I have no photos of him, or his bullock dray. Many of my ancestors also rode the iron rails but today’s photo is of none of these. This photo is one I included in my Kunkel family history. It was given to me by Dad’s cousin and shows a bunch of dodgy looking blokes hanging around the 20th century cart and horse…a truck. I know my grandfather’s brothers worked as carriers but the cousin couldn’t identify which was her father, Matthew David John (John) Kunkel. If I was guessing I’d say it was the bloke on the front right, and strangely she wasn’t sure…or perhaps he was the photographer. Actually I’d have expected John’s brother Ken to have been with him as they were very close. But isn’t it a great photo?! 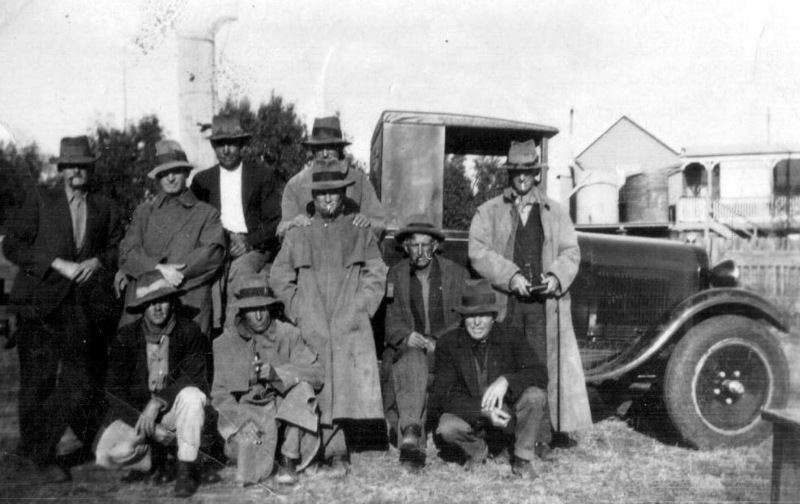 All dressed in their Driza-bones and wearing hats with character. The front row are crouched in the typical bushie pose that Dad always took up when waiting for something. Time was I could do it too, but sadly I’m no longer that flexible or agile. The pipes remind me of my grandad who would sit on the back steps of their house tapping the tobacco out, refilling the pipe then having a quiet smoke, looking over the back yard. The Darling Downs is the lime green area on the bottom right. While these men would have probably given anyone in need a hand, you can’t help feeling you wouldn’t want to meet them on a dark night. I’d place a good bet too that many, if not all of them, were returned service men from World War I. If you recognise anyone in this group, please do comment as I’d love to know about it. 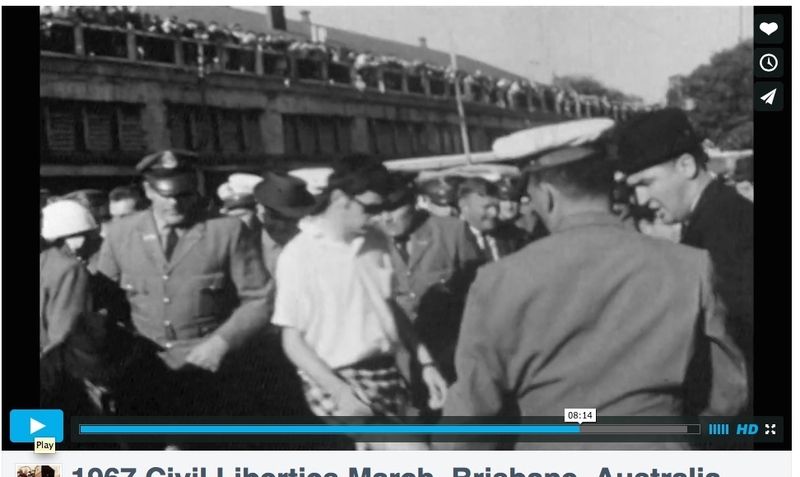 It looks to me like a silo behind the men, which would fit with it likely being taken on the Darling Downs. To the right is a typical old Queenslander house, on stilts, with its two tanks and no doubt a slow combustion stove to cope with the chilly weather typical of winter on the Downs. Gallop over to see how other Sepians transported themselves this week.